Dow Jones Industrial Average News, 8/04/2016: Another day, another major central bank lowering its interest rates to meager levels and boosting stimulus efforts. This morning, the Bank of England (BoE) cut interest rates by 25 basis points and boosted its quantitative easing program by roughly 60 billion pounds. This boosts its stimulus efforts to 435 billion pounds. Of course, this is just more insanity from the central bank. The BoE is doing the exact same thing we’ve seen from the Federal Reserve, the Bank of Japan, and the European Central Bank, but they’re hoping to get a different result. Here is today’s top stock market news, stocks to watch, ways to profit, and economic calendar for Aug. 4, 2016. Dow Jones futures projected a 38-point gain on news that the BoE has slashed interest rates and hiked its stimulus program. According to the U.S. Labor Department, weekly jobless claims totaled 269,000. That’s slightly higher than the 265,000 forecast by economists. Today’s report is just a prelude for tomorrow’s big jobs report. 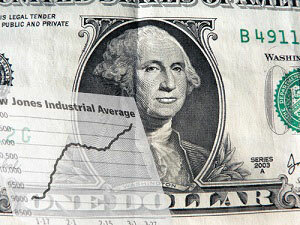 The Labor Department will announce the U.S. unemployment rates for July and the number of jobs created in the country. All of these stories shine the spotlight back on the U.S. Federal Reserve. Yesterday, Chicago Federal Reserve President Charles Evans said that the central bank could be ready for one rate hike in 2016. But the markets largely do not anticipate a rate hike. The Fed continues to tease a rate hike, but it’s beyond evident that our central bankers are in uncharted territories and don’t know what they are doing. When did the Federal Reserve go wrong? WTI crude prices were flat this morning, a day after prices surged. Wednesday showed a strong uptick in prices after the U.S. Energy Information Administration reported a large, surprise drawdown in gasoline inventory levels around the United States. Concerns about oversupply are still rattling the international market. Brent crude prices fell 0.4%. The 2016 Summer Olympic Games kick off Friday, Aug. 5, in Rio de Janeiro, Brazil. Already, the headlines have centered on the Zika virus, potential terror plots, and filthy water. These Summer Games could be a serious challenge for Brazil to maintain. The Games are already under pressure due to a series of strange events long before tomorrow’s launch. Here are the top five unusual incidents ahead of the 2016 Summer Olympics. In earnings news, shares of Tesla Motors Inc. (Nasdaq: TSLA) were barely moving this morning following its earnings report after the bell on Wednesday. Shares were barely on the rise today after the firm announced both good and bad news. First, Tesla is absolutely burning through cash. However, the company did say that it is on target to meet its production goals as demand continues to rise. The increase in spending is also driven by the firm’s recent decision to purchase solar installation giant SolarCity Corp. (Nasdaq: SCTY). So, should you buy TSLA stock after today's earnings report? We answer that, right here. Shares of Apple Inc. (Nasdaq: AAPL) were off 0.2%, despite a positive report from analysts at UBS Group AG (NYSE: UBS). The investment bank increased its estimates for the number of iPhones it expects the tech company to sell. The bank increased its expectations of iPhone 7 sales from 207 million to 222 million. This report piggybacks a positive guidance report from its semiconductor supplier Qorvo (Nasdaq: QRVO). Meanwhile, shares of Level 3 Communications Inc. (NYSE: LVLT) are in focus this morning as the stock climbs back from a recent downturn. LVLT stock fell roughly 7% in late July when its Q2 earnings report revealed weaker than expected revenue. The company reported revenue of $2.06 billion compared to expectations of $2.08 billion. Despite the recent downswing, Level 3 is a stock to own. Here’s why the stock price is going higher and how you can expect to profit. Look for additional earnings reports from LinkedIn Corp. (NYSE: LNKD), Priceline Group Inc. (Nasdaq: PCLN), Zynga Inc. (Nasdaq: ZNGA), Activision Blizzard Inc. (Nasdaq: ATVI), and FireEye Inc. (Nasdaq: FEYE). Dallas Federal Reserve Bank President Rob Kaplan speaks at 6:15 a.m.